Carrie Busey was like many American schools, a double loaded corridor lined with classrooms. The classrooms, very traditional, four walls, one with windows, one with a chalk board. 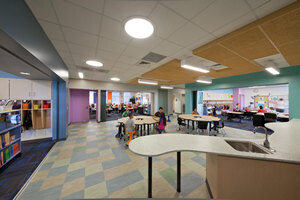 The designers and teachers had a new vision for this environment. A place where the classroom is unbound, every space is utilized, technology is prolific, and collaboration is the cornerstone of a well-rounded education. A new Carrie Busey Elementary School where grades are clustered, corridors swell to form gathering spaces, classrooms flex from small group spaces to a full grade collaboration space allowing all the students to engage and work together, and letting the teachers instruct as a team. The transition was not easy. For some teachers a sense of individual space and control over the classroom environment was being lost. The desire by many for team teaching, collaboration, project based learning, and integrating technology was seen by some as added distraction and revision of a well established lesson plan. 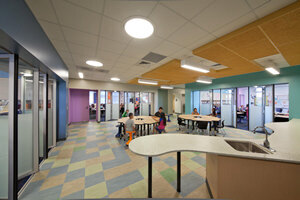 "The NanaWall went from a desired barrier to a portal leading to a new learning experience." 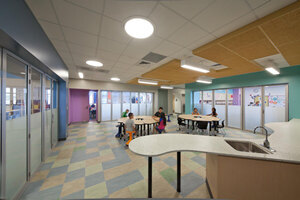 The NanaWall gave us the opportunity to realize the best of both classroom environments. 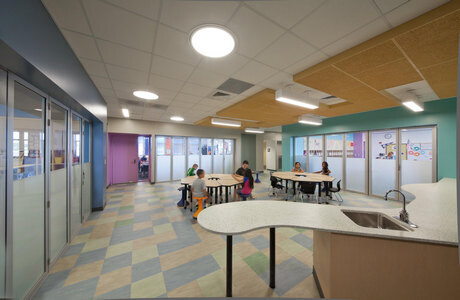 The system was designed to consider acoustics, transparency to maximize visual connectivity, opacity to minimize distraction, and operability to allow the learning space to be flexible. When the school opened it was, for the most part, business as usual. Classrooms were compartmentalized, lessons plans were separated, teachers working alone. 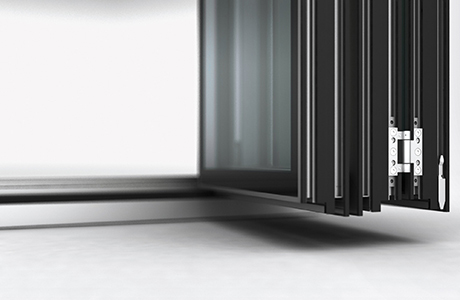 During the first year of operation we began to see a change. The collaboration pace was being integrated into the classroom, first with one class at a time, then multiple classes were flexing into the collaboration space simultaneously. Many of the teachers now instruct collaboratively and in many cases the NanaWall is left partly or fully open throughout the school day. The NanaWall went from a desired barrier to a portal leading to a new learning experience.